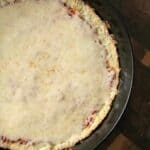 Almond Flour Pizza Crust, an easy gluten-free pizza crust recipe that is a great low carb option. Based on my almond flour biscuit recipe, this pizza crust is crispy on the bottom and soft inside. Top with your favorite pizza toppings for an easy dinner. 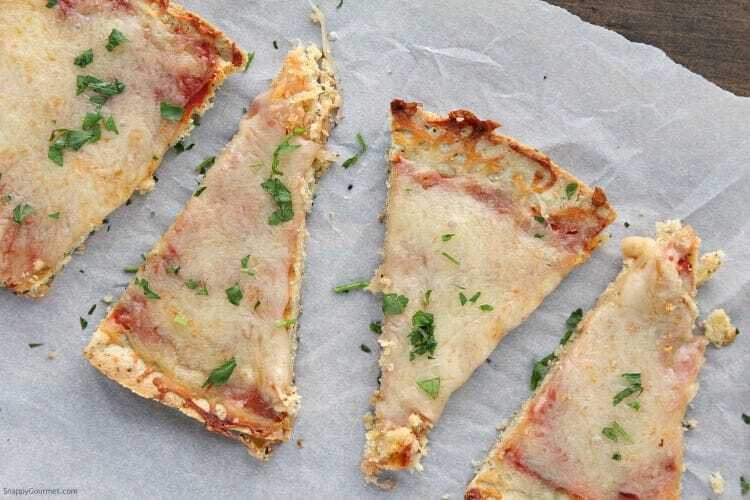 This Almond Flour Pizza Crust is an easy low carb and gluten-free pizza option. 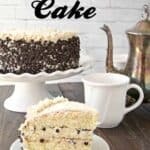 Since my almond flour recipes have been so popular lately I thought I’d share this one with you as well. 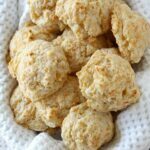 This almond flour pizza crust is based on my almond flour biscuit recipe (Gluten Free Cheddar Bay Biscuits) which is an easy gluten-free biscuit recipe. So before we get started on almond flour recipes and this almond flour pizza crust, let’s talk about almond flour. Almond flour is finely ground almonds. 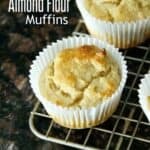 I know a lot of people wonder how to make almond flour at home. You can make your own in a food processor, but it’s tough to get the almonds as finely ground as commercial almond flours that you can buy. Almond flour is widely available now in many large grocery stores and specialty grocery stores. You can also find it on Amazon and Costco. More almond flour recipes coming soon! 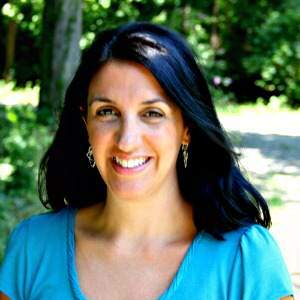 If you have almond flour recipes you’d like to see, let me know! Ok let’s get started on this Almond Flour Pizza Crust. Before you get started, be sure to preheat your oven so it’s ready to go when your crust is done. Like I mentioned I based this on my almond flour biscuit recipe. In a mixing bowl, mix together the almond flour, Italian seasoning, garlic powder, and salt until well combined. Then stir in the cooled melted butter and eggs and stir until combined. Press the dough on the bottom of a greased cast iron pan. I used shortening to grease the pan but you could also use oil. Make sure the dough is flat and even. I used a 10-inch cast iron pan but you could use one slightly smaller or larger. Bake the crust at the bottom of your oven, for about 12-15 minutes or until browned around the edges. I like baking the crust toward the bottom of the oven so that the bottom is crispy. 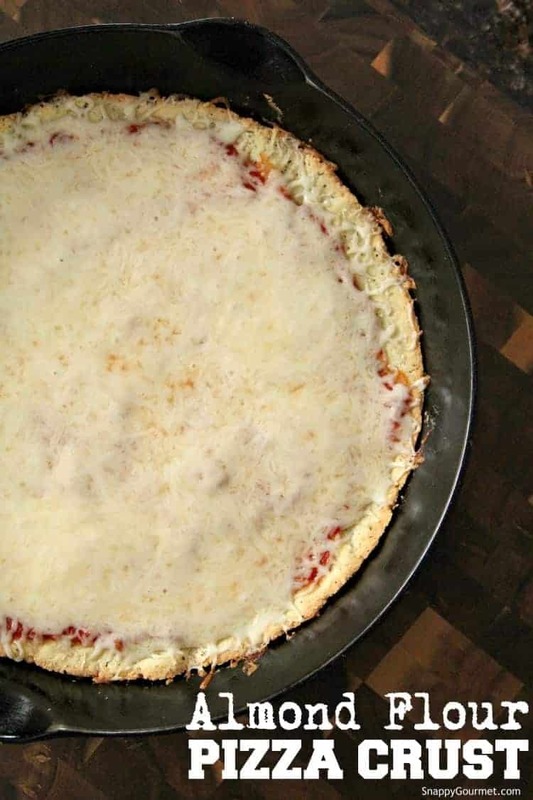 Then remove the crust from the oven and add your favorite pizza or tomato sauce, cheese, and toppings and place back in the oven for a few minutes until cheese has melted. Once your pizza is done, you can cut out slices using a sharp knife. You might need to use some kind of spatula, fork, etc. or something for that first piece to get out. Then the rest of the slices should come out a lot easier. If you’d like a more soft crust, I’d suggest baking the pizza crust more in the middle of the oven and for slightly less time. You can make this pizza any way you’d like. I like to chop up fresh herbs like basil, Italian parsley, or oregano for the top. You can also add other dried herbs and spices to the crust itself. Just for the record, this crust is great, but it will never compare to pizza crust with yeast and flour. You just can’t get that kind of consistency and chewiness with almond flour. 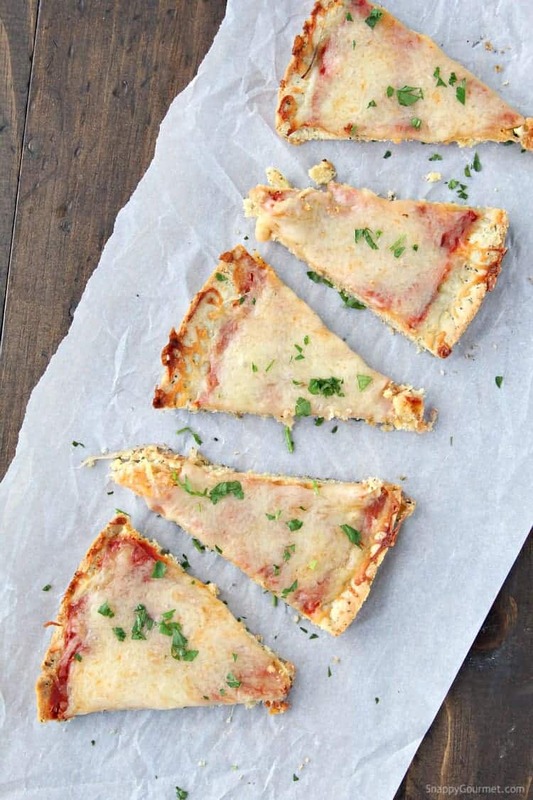 Sad I know, but this Almond Flour Pizza Crust is a great substitute so don’t worry! Mmm, now who’s craving pizza? Please tell me I’m not the only one! 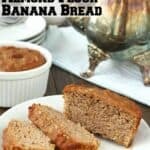 Be sure to check out those other almond flour recipes listed above! 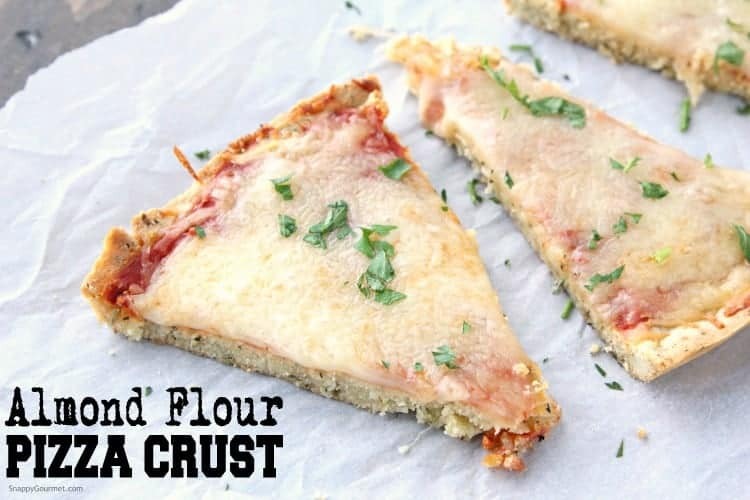 Would love to hear how you like this Almond Flour Pizza Crust! 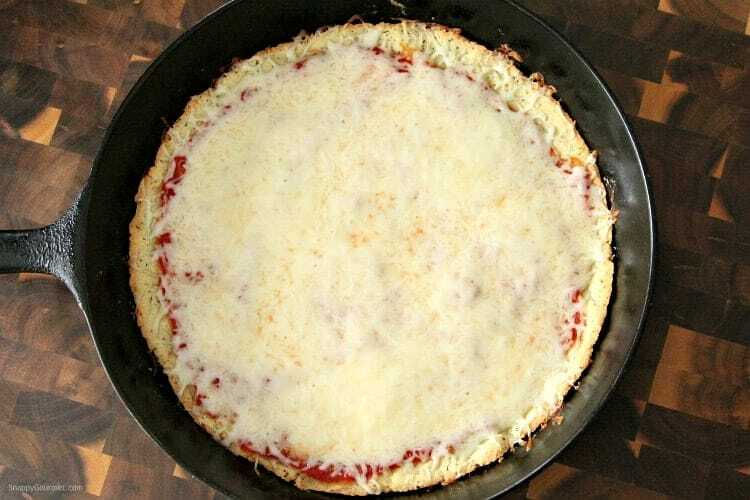 Quick and easy Almond Flour Pizza Crust recipe that is low carb and gluten-free. Top with your favorite pizza toppings. In a large mixing bowl, mix together the almond flour, Italian seasoning garlic powder, and salt. Stir in the melted butter and eggs until combined. 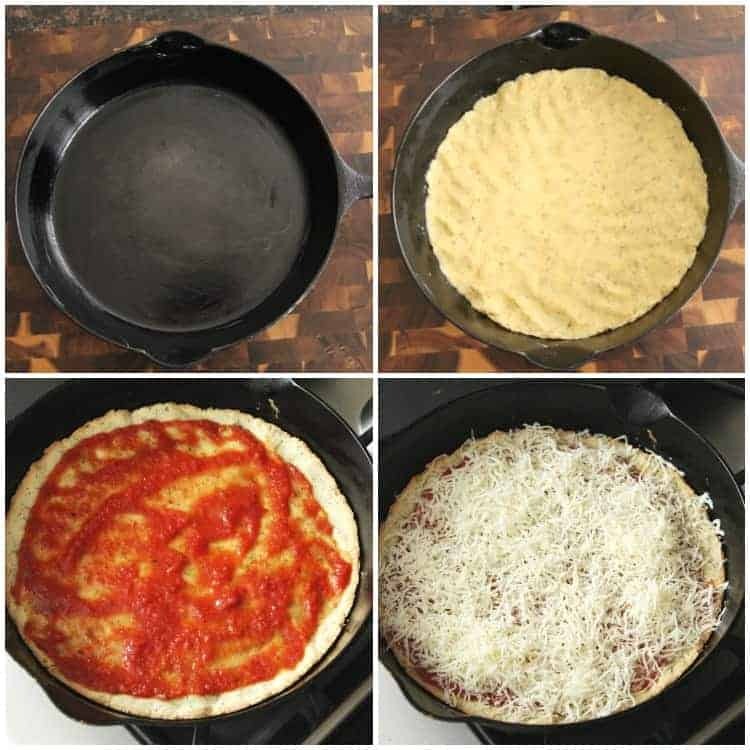 Press dough into an even layer on the bottom of the cast iron pan. Bake the crust at 400 degrees F for about 10-14 minutes or until golden brown around the edges. 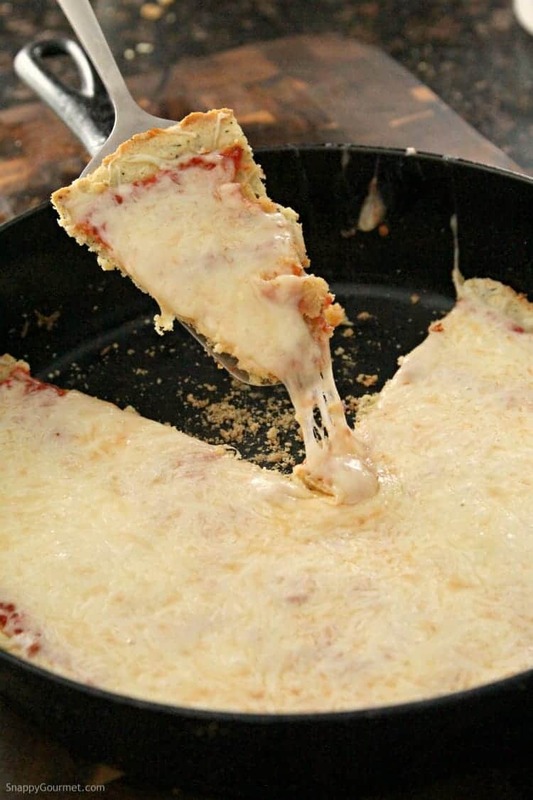 Remove crust from oven and top with your favorite pizza toppings such as tomato sauce and cheese. Return to oven for a few minutes or until cheese has melted. SNAPPY TIPS: If you'd like a softer crust, bake in middle of oven rather than bottom. 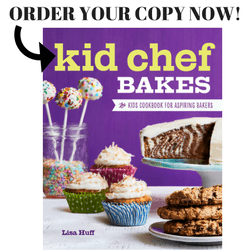 You may need to adjust baking time depending on size and type of pan so watch your crust carefully. You can use a little corn meal on the bottom of your pan as well to help prevent sticking. SNAPPY SUBSTITUTIONS: Instead of a 10-inch cast iron pan you can use a slightly bigger or smaller cast iron pan. You can also use a large baking sheet although I'd suggest lining the baking sheet first with parchment paper or grease well to prevent sticking. 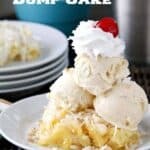 Liza, this looks tasty! 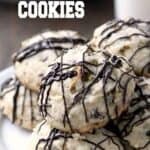 These are absolutely mouth watering! It will quickly disappear in our house, very tasty and flavorful! The best keto crust I have ever made. It was actually very good..I added olives, pepperoni and mushrooms. So, so good. It’s was so high in fat and filling that I really didn’t have an appetite for the rest of the day. Definitely a keeper. I’m just curious as to why you need to bake the crust first, then put the toppings on it and then put it back in the oven? 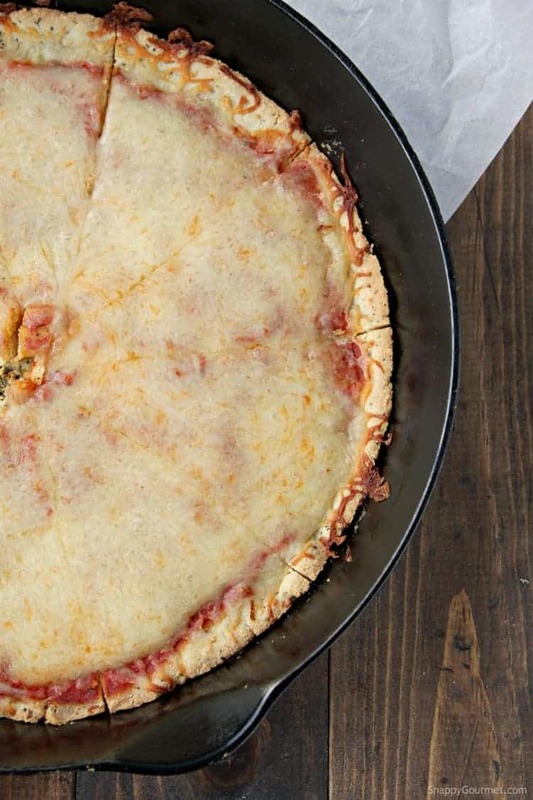 Are you able to roll out the dough, put toppings on, and then bake it (kinda like a normal pizza)? If you spread it thin enough you probably could. I just like to bake it first to make sure it’s fully cooked through.